Fairfax, VA – -(Ammoland.com)- The National Rifle Association Institute for Legislative Action (NRA-ILA) applauded Congressmen Jeff Duncan (SC) and John Carter (TX-31) on Monday for introducing the Hearing Protection Act, an important bill that gives gun owners and sportsmen the opportunity to better protect their ears and hearing. “Many gun owners and sportsmen suffer severe hearing loss after years of shooting, and yet the tool necessary to reduce such loss is onerously regulated and taxed. It doesn’t make any sense,” said Chris W. Cox, executive director, NRA-ILA. 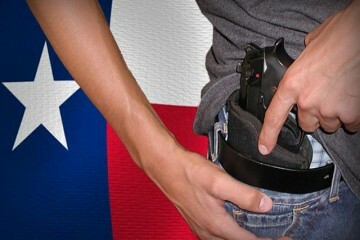 Concealed-Carry on College Campuses Bill Passes in Texas!